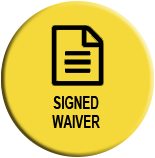 Download, Print + Sign a physical waiver for both participants and invited spectators. See link above. 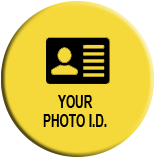 BRING a copy (print or screenshot) of your original confirmation email and your Photo I.D. along with your signed waiver to the registration tent, located BEHIND the Ski Chalet. Parent / Guardian will pick up MF Kidz bib(s). Can't find your confirmation? Enter your email affiliated with your registration and have it resent HERE. Parking is $15 cash per vehicle. You must park in our designated event parking area only. No parking on streets or roads allowed. 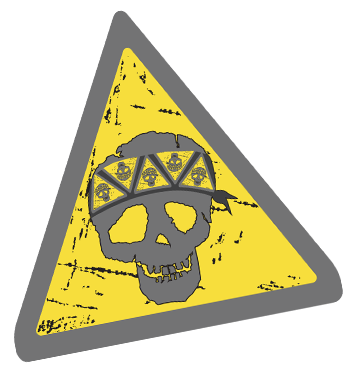 Absolutely no "walk-ins" from outside the designated event parking area will be permitted to participate in any Mud Factor event, no exceptions. 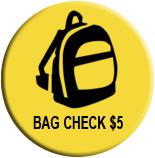 You may drop off any items you don't want getting muddy or lost at our Bag Check table for $5 cash. You may purchase or pick up your pre ordered merchandise at the merch table located in the festival area. Unlike lower 48 state events where we have an unlimited back stock of sizes on our trucks, we are flying up with inventory. Those that pre-ordered shirts should pick up their order ASAP after arrival for best selection. Sizes and styles are not guaranteed. 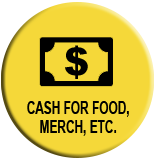 We do not refund, credit, or ship orders that are not picked up on event day. We recommend bringing extra clothes, shoes, towels. Bring plastic bags for dirty items. We will have plastic car seat covers for sale at $3 cash each. Bring extra water to hydrate before and after your run. 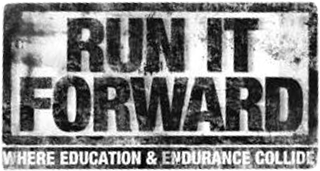 Mud Factor provides small 9 oz cups of water at the 1.6 mile ( KIdz Finish Line/ Adult Half) and 3.2 mile (Adult Finish Line) to quench your thirst. Please use only one cup per pass, and do not use the drinking water to rinse your body. We will have a wash off area with running water located outside the festival area, near the registration gazebo. This shower is not the Hilton. Some participants bring gallons of water and leave them on top of their cars in the parking lot to warm up, then rinse at their vehicle. We think this is a great idea. Bring a towel and a change of clothes. 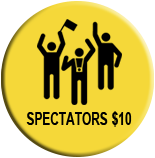 Spectator passes are $10 cash the day of the event at the venue. Spectators have access to the festival area only - no course access. Course view and access to obstacles is limited and is not guaranteed. Children 13 and under are admitted free (as spectators) into the festival area. We will have beer and a local food vendor in the festival area. Stick around and enjoy a cold one with us. No outside food or drinks allowed except water. Bring Cash. No credit or refunds for missed events. Deferments are not available for this event location. Map, Set-Up and Event Day Information subject to change without notice. If you've got this far, thanks for running with us!